Consistent with his body of work that express serenity and an unhurried prelude to a state of meditation, Erwin Leaño, with his recent collection of paintings on canvas, invites us once again for a reflective walk. 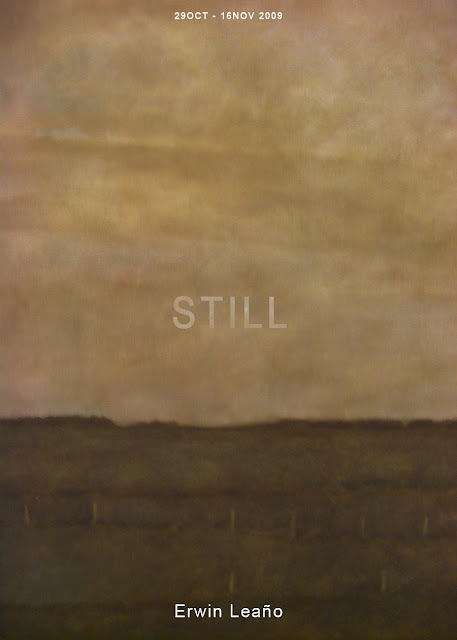 “STILL” opened on October 29, 2009 and can be viewed until Nov. 16, 2009 at Artinformal: 277 Connecticut St. Greenhills East, Mandaluyong. For inquiries, please call (632) 7258518 or visit Art Informal website. Gallery hours: 9am to 6pm, Monday to Saturday.